Composite decking is a great option. Find out why! Well, the simple answer is yes! Composite decking is comprised of materials that offer a low-maintenance solution to your decking needs such as plastic. Some people may enjoy stripping, sanding, and re-painting their decks, but not all of us have the time to spare. Now, composite decking used to be very different, and this gave it a bad reputation. New styles, solutions, and materials have paved the way for a new type of composite deck, one that is well worth the investment. Are you ready to learn more about investing in a composite deck? Well, let’s do it! All decks needs some TLC now and then no matter what they are made of. Composite decking might not need the care and attention that wood does, but it still needs to be maintained from time to time. For example, moss and mold can grow on anything, so you’ll want to make sure that you’re keeping your deck clean and debris-free throughout the year. 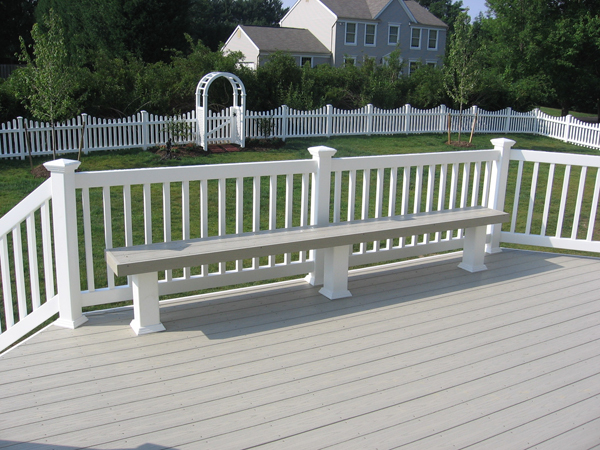 If you have pets or children, then you may want to invest in some scratch-resistant paint for your new deck. What makes composite decking so irresistible? Composite decks have a very high Return on Investment at about 68%. That mean that the deck will increase your property value enough to make it almost pay for itself. Now, the other amazing things about composite decks are that they are slip-resistant and do not give you splinters, they’re more durable than wood, and you have a lot of color options. Not only that, but composite decks are made up of recycled materials, so they’re a green product as well. There’s a lot to love about composite decking, and if you have more questions you can contact us for a more in-depth look at this modern decking solution. Are you ready to invest in the wonders of composite decking? We can help!